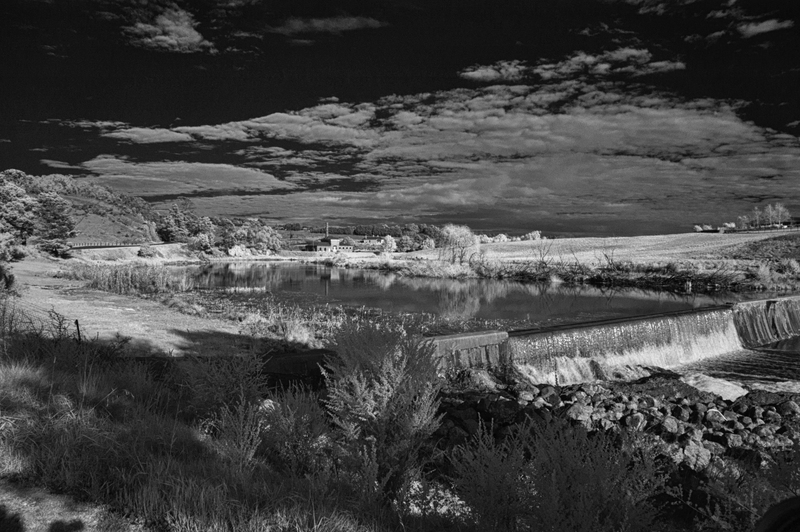 This image is a good example of how using infra red capability for landscape photography can provide an interesting image. On this occasion in 2012, conditions were perfect for IR. Interesting cloud cover, good shadows, bright sunlight light in some areas and plenty of greenery to emphasise the IR’s magic in turning greens white. THE WOLLONDILLY RIVER OVERFLOWING THE MARSDEN WEIR NEAR GOULBURN, NSW, AUSTRALIA. For the technically minded, my lens was set at 18mm, aperture f 11 giving a shutter speed of 1/200th second at ISO 200. As the camera only records in infra red, there was no need for post processing. What a time saver. Hoo roo till tomorrow. Only two images to go. Who’s going to be next?